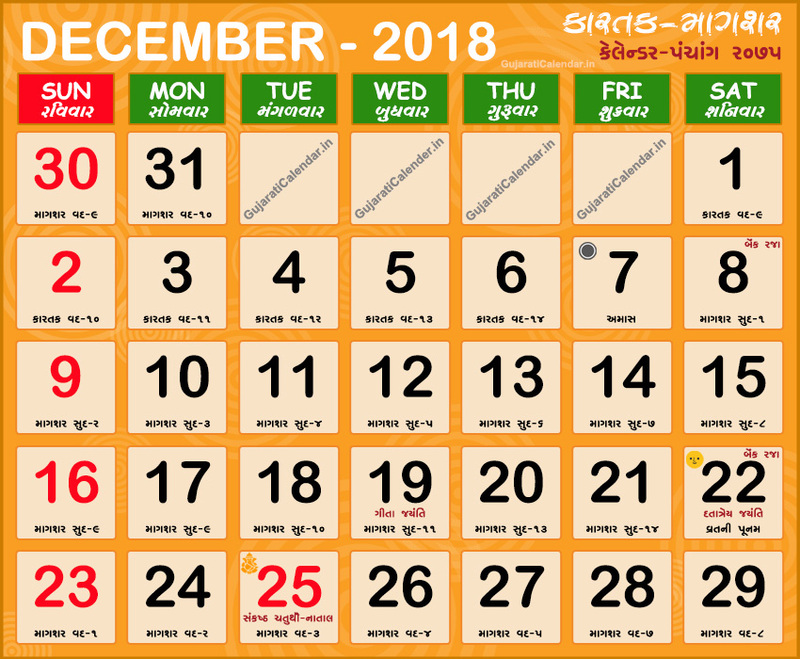 Gujarati calendar 2018 December showing festivals, holidays and tithi. December corresponds to the Gujarati months of Kartak Magshar. Gujarati month Kartak and Magshar is the months of Shishir Rutu or Winter. It is very pleasant temperatures and time of the year, weather-wise. Generally, temperatures are around 19-25 degrees Celsius. December 2018 is an kartak magshar mahino in vikram samvat 2075. Disclaimer : We DO NOT offer any advice here. The website's content should only be used for informational purpose. By using this website user is agree that the authors and website are not responsible or liable, directly or indirectly for any losses incurred through this website.